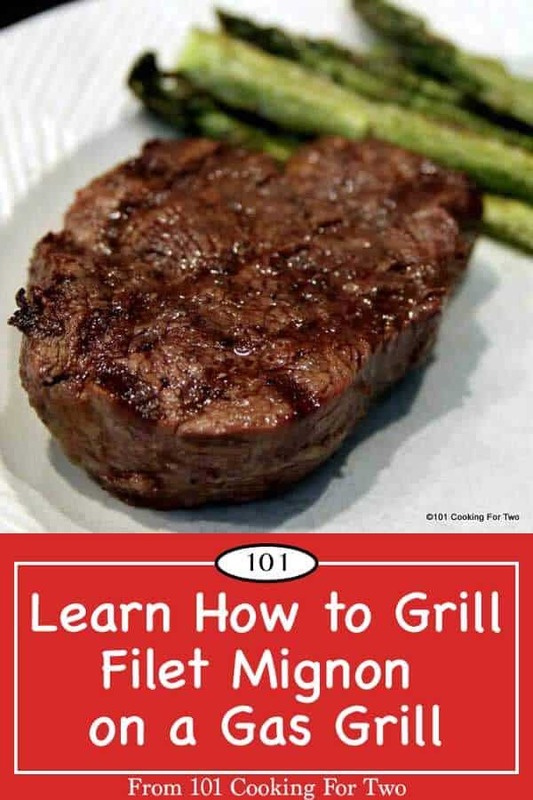 Learn How to Grill a Filet Mignon on a Gas Grill with these easy to follow step by step photo instructions with great results. A very special meal for very special times or as an everyday surprise. 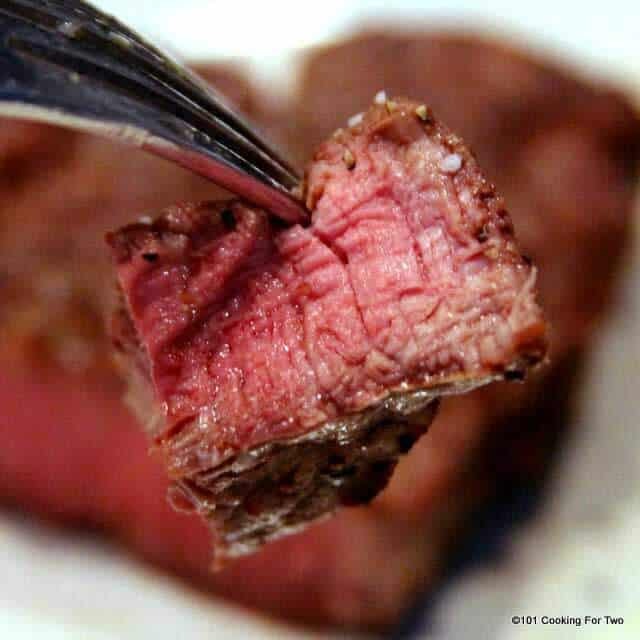 Grilled Filet Mignon is as good as it sounds and it can be yours with this simple technique. I consider filet the king of all meats. If I want something very special, this is it. I usually buy the whole beef tenderloin, and a 6 to 8 oz filet will only really cost you about $6-8 which is less than a fast food trip. An absolute 5. The filet is always a five, but this is a great 5. 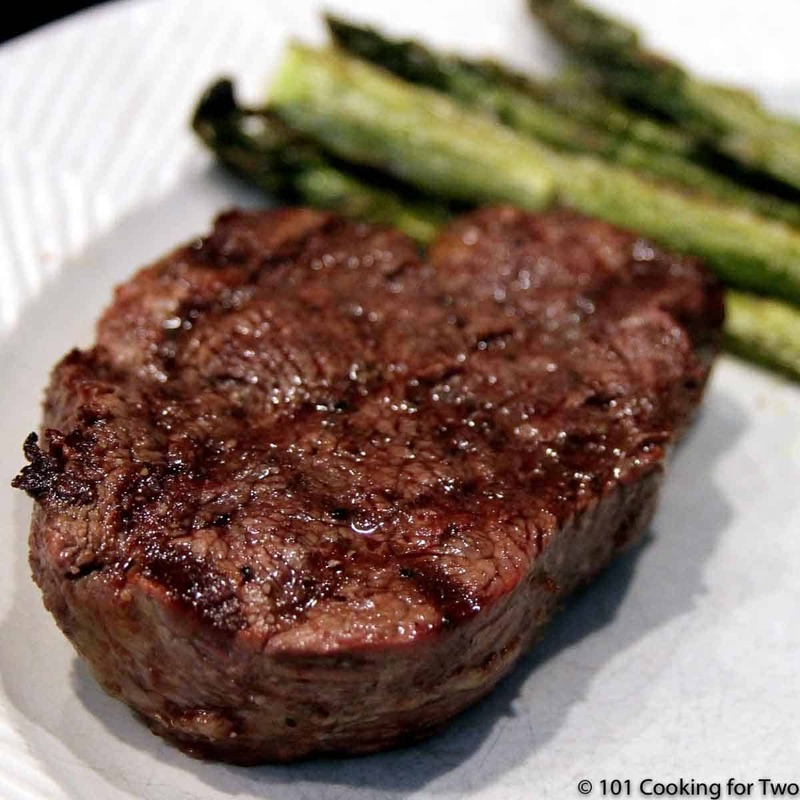 The Meat – What is Filet Mignon? Since this is a “how to” post, we will start with how to buy the meat. For those not in the know, a filet mignon is cut from whole beef tenderloin AKA a pismos. 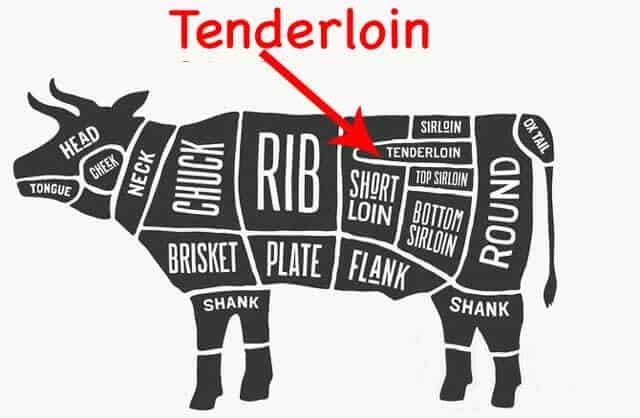 You can buy pre-cut, and it will be a bit more expensive, but I usually buy the whole tenderloin and cut my own. There are many methods of trimming. Here is a YouTube Video. I like about 1 1/4 to 1 1/2 inches. It does freeze great. QUALITY DOES MATTER. It is all about quality here. Prime is the top 2%; you can’t find it (it goes to the absolute best restaurants), and you don’t want to pay the price. Next is USDA Choice. About half the beef sold in the USA is choice, and this is what you should buy usually. It will be about $10-15 per pound for the whole tenderloin. 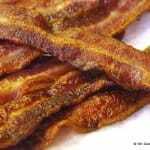 USDA Select is next but just say no. You need to know your grill. We are going to use direct heat here with a grill surface temperature of about 450 up to but not over 500. On my grill (which is very hot) that is just above 50%. On more normal grills it should be about 75% but get a $10 grill surface thermometer and get to know your grill. 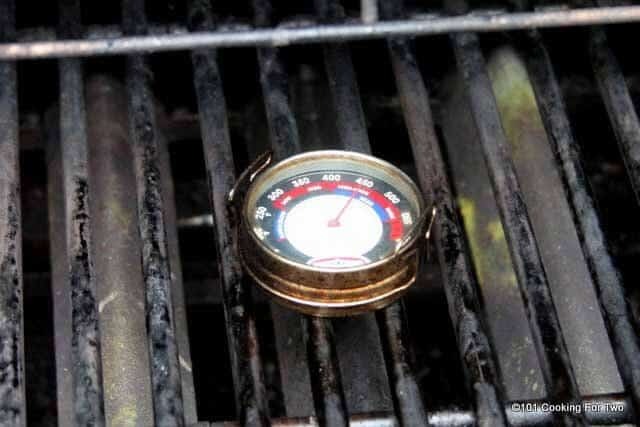 See A Beginners Guide to Grill Temperature on a Gas Grill for more details on grill surface temperature. When is your filet done? Your endpoint is the internal temperature you want or a little less. DO NOT COOK BY TIME ALONE. The timing of the seasoning is important. 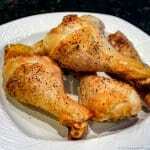 Do not put salt on the meat for more than a few minutes unless you are going to do 60 minutes or more. Start with quality filets. I like a 1 1/4 to 1 1/2 inch thick that will be 6-8 ozs. each. One of the most important steps is resting the filets at room temperature for 30 or so minutes. This raises the temperature of the meat making getting your desired internal temperature much easier. While it is resting, get your grill temperature of about 450. Just over medium for me but more medium-high on lesser grills. Of course, clean and oil the grill. 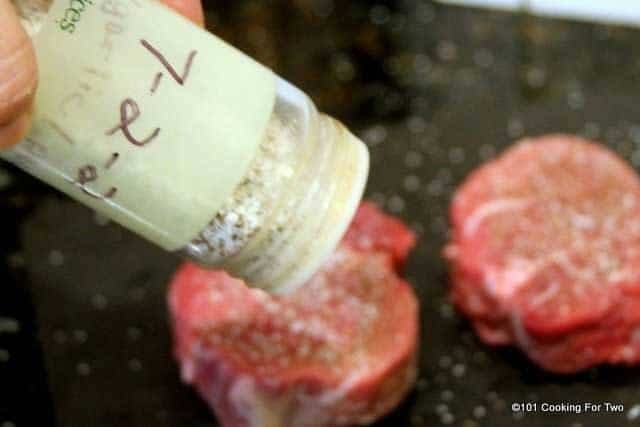 Give the filets seasoning of your choice. Do it just before grilling. I use a nice sprinkling of my 7:2:2 seasoning but just a nice sprinkle of coarse salt and pepper will do. Place the filets on the grill. Close the lid. Grill on the first side for 6 minutes. Rotate half the way through for these nice crossed grill marks. Flip and grill until you reach the correct internal temperature for your taste. For me, I do another 6 minutes (with the rotation) and get 145-150 internal temperature. Remove and rest for 5 minutes minimum. A light foil tent is a good idea here. Grilled Filet Mignon. A very special meal for very special times or as an everyday surprise. As good as it sounds and it can be yours with this simple technique. 2 Filet Mignon - about 1 1/4 to 1 1/2 inch thick. They will be about 6-8 oz each. 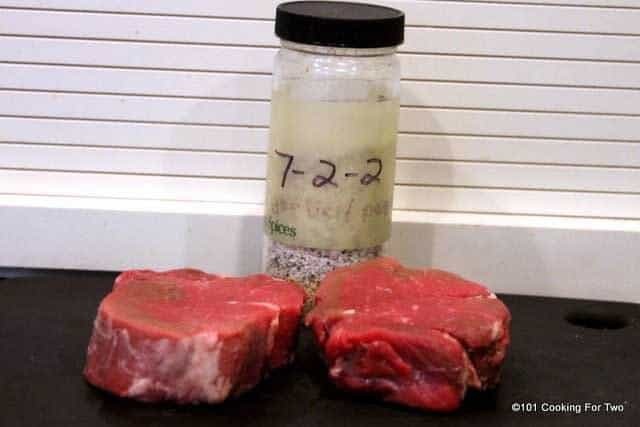 One of the most important steps is resting the filets at room temperature for 30 or so minutes. This raises the temperature of the meat making getting your desired internal temperature much easier. While it is resting, get your grill temperature about 450. Just over medium for me but more medium high on lesser grills. Of course, clean and oil the grill. Place the filets on the grill. Close the lid. Grill on the first side for 6 minutes. Rotate half the way though for these nice crossed grill marks. Flip and grill until you reach the correct internal temperature for your taste. For me, I do another 6 minutes (with the rotation) and get 145-150 internal temperature. Quality of the meat matters a lot here. Prime or choice, please. Medium to medium-high grill with a surface temperature of about 450. Rest to room temperature first. Season 1 hour before cooking or just before cooking. Not between. 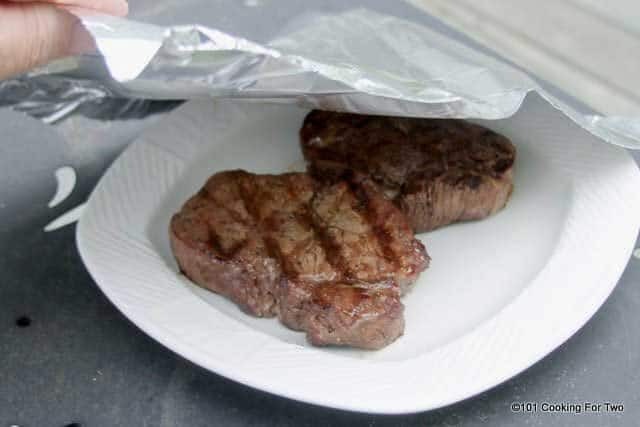 Rest tented with foil for at least 5 minutes before serving. Good info. Someone mentioned finding Prime beef at Sams Club. I never have myself in our central Florida clubs but Costco regularly has Prime steaks and entire loins, sometimes trimmed. Really fine beef. When you’re steaks are 2” or more how much longer do you cook per side or do you add additional time under the grill hood but indirect heat not over the flames? I agree, I have never seen prime anything at Sams but their choice seems extra good. I get prime at me local meat market for extra special times. I don’t have a local Costco but that would be a great thing. For extra thick (more than 1 1/2 inches). The problem is getting the right internal temperature without burning or at least over cooking the outside. If you’re aiming for rare/medium rare, you can probably just follow these instructions. 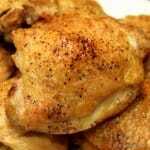 If you want to more cooked inside, I would decrease the surface temperature by 50 degrees and increase the time some. That way, you have a temperature gradient longer before the outside is a problem. You could also move them to an indirect heat area. As always, cook to a final internal temperature. 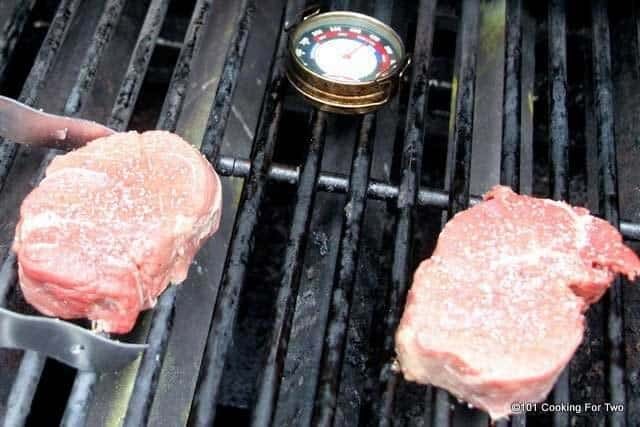 Novice question: do you close the grill after turning the steaks over? Closed. A good general rule is under 1/2 inch thick – open is usually ok. Between 1/2 to 1 inch – usually closed since you can control the temperature better. Over one inch is always closed. Will it make a big difference if I have to put foil on the grill? Thanks so much! Here goes nothing! Question from an absolute amateur – best way to gauge internal temperature? I know they make thermometers you insert into the meat, but doesnt that dry it out? If you poke it 20 times, you might be able to tell the difference. But a few pokes are fine. The whole key to cooking like this is grill temperature (see https://www.101cookingfortwo.com/grill-temperature/ ) and the internal temperature of the meat. So a good meat thermometer is really required to get it right. You can get a $10 el-cheapo and it will work fine, it just won’t last too long. You can get something at a big box store or I have some links in my shop. 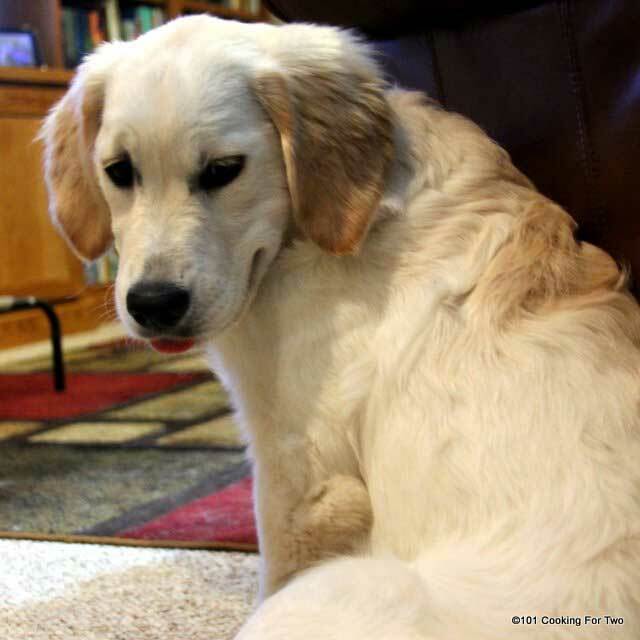 Thank you so much for your help!! Your instructions were amazing and very easy to follow!! Tho my family and I grill on a regular basic filet mignon has always been something I was scared to attempt!! Not anymore thanks to you! !